Have you ever started an English learning course or a book and never finished it? Why was that? Was it too boring? 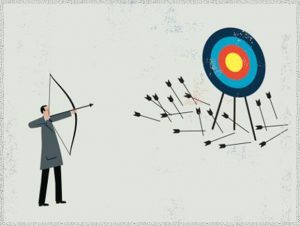 Staying motivated when you’re learning anything is hard. And it becomes even more difficult when the materials aren’t interesting. But all the time, we hear from unhappy students who tell us how difficult it is to stay motivated. And they often feel boring English materials are to blame. Imagine how good your English would be if the materials were motivating and fun. You’d be able to learn English quickly and enjoy it! 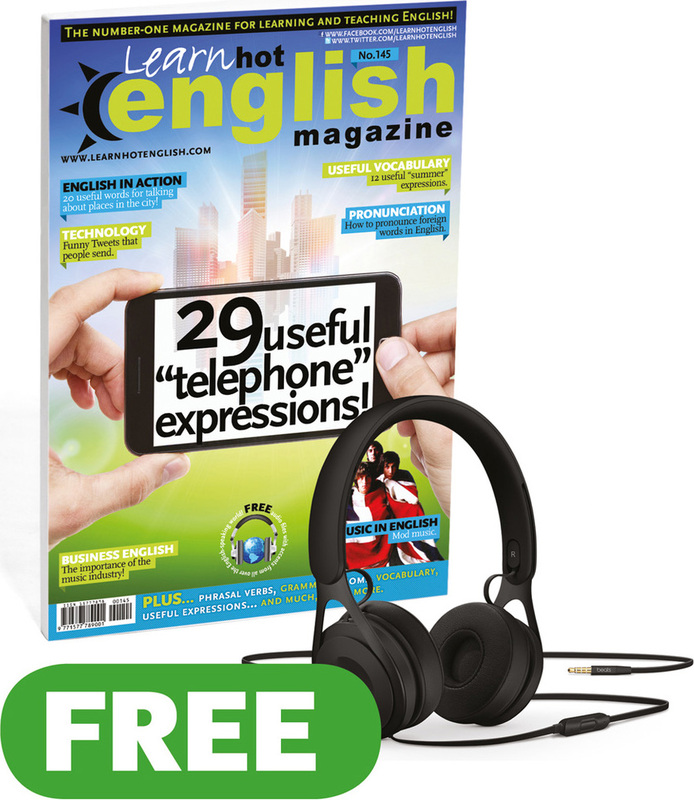 This is why we created Learn Hot English magazine – because learning English should be fun and useful! 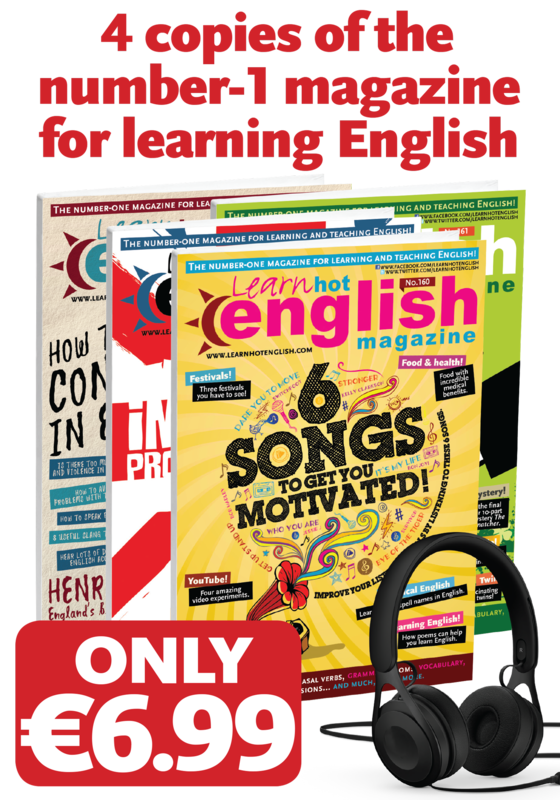 Each Learn Hot English magazine is packed full of English slang (UK & US) and colloquial expressions and comes with lots of really interesting sections: cinema, music, business, culture, travel, grammar, slang..
…whatever your interest or need, Learn Hot English has it all! 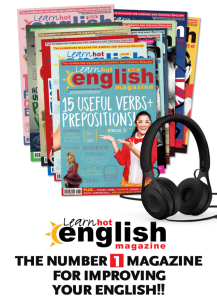 There really is no other English learning product available to buy like Learn Hot English magazine, powerful, fast and fun, learning is 100% guaranteed!!!! And there’s one hour of audio in each magazine so you can hear exactly how you need to use the language. Plus, there are lots of different accents: English, American, Welsh, Irish, Australian…all magazines are carefully selected from our back catalogue and are always up to date. Plus each magazine is divided into 4 levels: pre-intermediate, intermediate, upper intermediate and advanced, so there’s something for everyone! But it gets even better: we have a really special surprise for you! 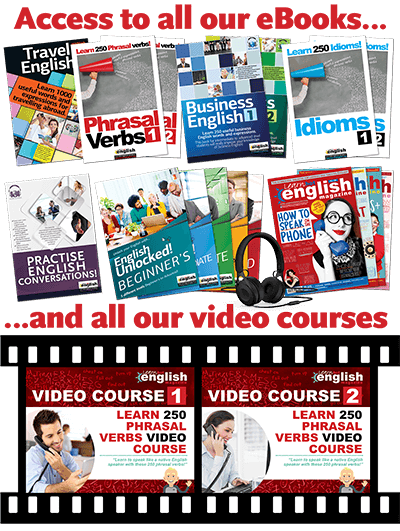 When you buy your pack of 12 Digital Learn Hot English magazines and audios, we’ll give you a really special gift: a PHRASAL VERB eBOOK with lots of useful phrasal verbs complete with images and audio files. 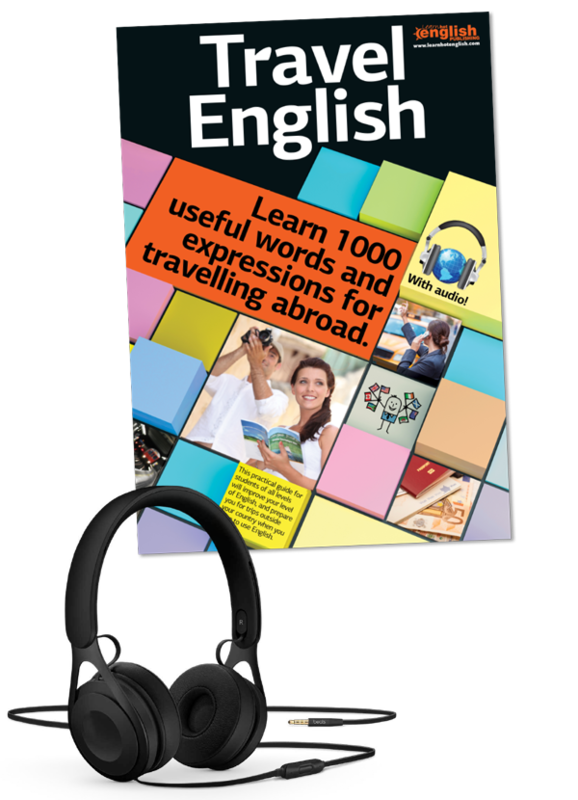 Do you want to improve your English, your understanding of English slang, coloquial expressions and have great fun at the same time? 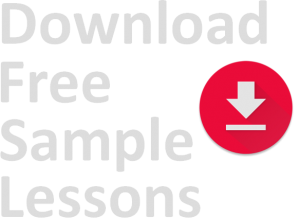 ….Then, click below to get your 12 copies of Learn Hot English magazine and FREE GIFT today! 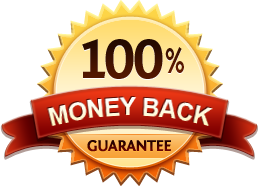 Learn to speak English like a native speaker and have great fun at the same time! Grammar – a look at some interesting aspects of language. Story time – jokes and funny stories in English. Let’s talk about… – practical language around a topic or theme. Error correction – a look at some typical errors in English. Functional language – useful expressions in English. Listening activities – listening activities with exercises. 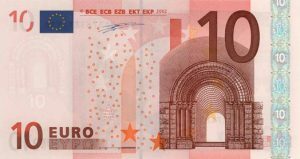 Business – interesting articles about business. Fun articles –articles on a variety of topics from around the world. How to… top tips on how to learn English. Travel – articles on places to visit. Stars – film reviews and information about actors. Music – information on styles of music, and bands, groups or artists. 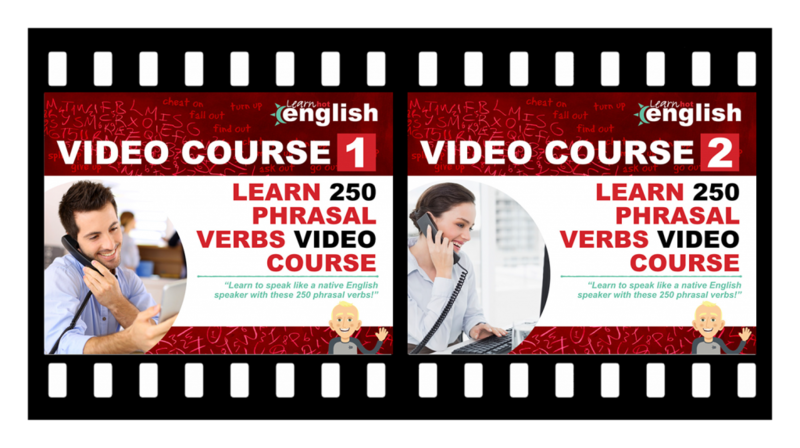 Phrasal verbs – phrasal verbs according to topics or themes. Idioms – idioms according to topics or themes. Quirky news – unusual news stories from around the world. Corny criminals –unusual crimes or criminals. Recipes – how to cook different things in English. History – articles about historical events or people. Vocabulary – words and expressions according to a theme or topic. Slang – how to use informal English. Accent alert – a look at different English accents. Interesting words – a look at some unusual words in English. Literature – information on books to read in English. 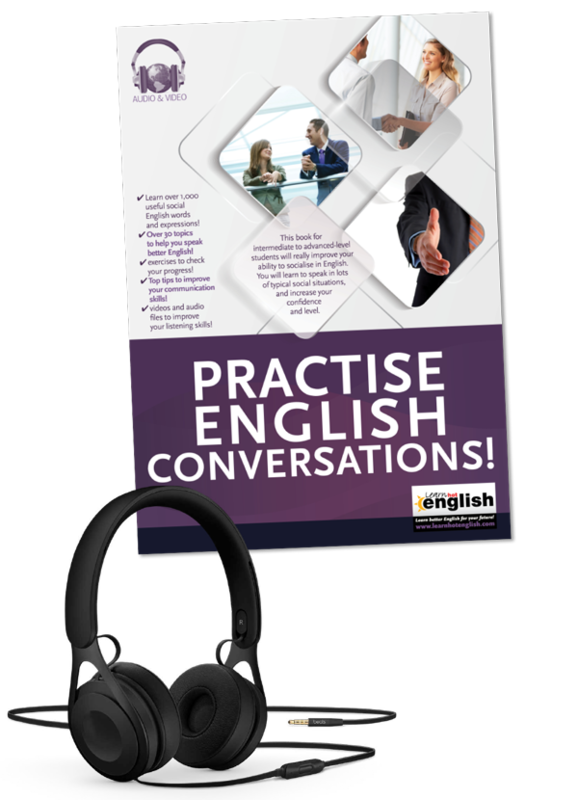 Natural English – interviews with English speakers on a variety of topics. Film & TV scripts – a look at some of the language in films or TV series. 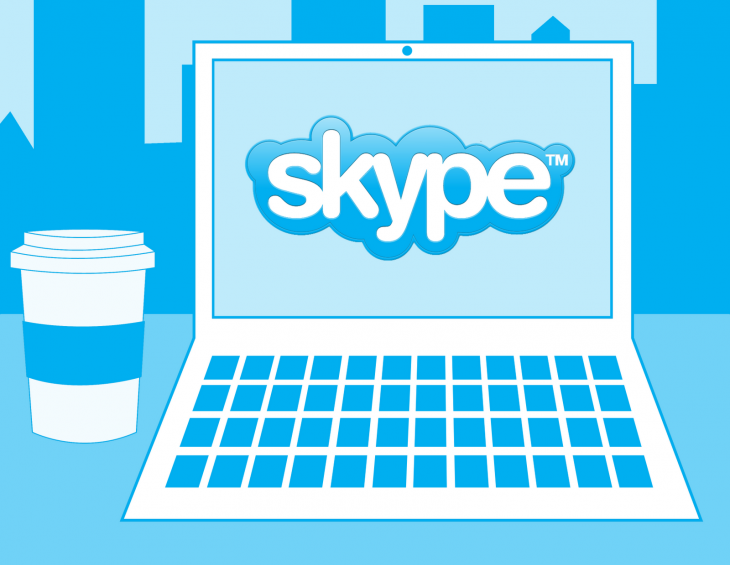 Group talk – conversations with multiple speakers in social situations. 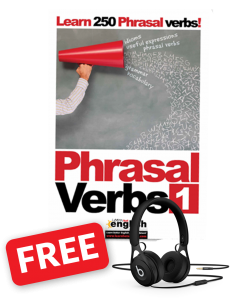 Native English speakers use phrasal verbs all the time. So, you need to learn the most common phrasal verbs to help you follow conversations better.